To travel long or short distant places, we prefer to use our private vehicles or public transport services. Today, I decided to explore the world, but in a different way. 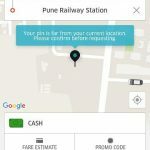 Being an Android user, I started to browse the Play Store for a fast and easy to use app that could help me book a cab online. 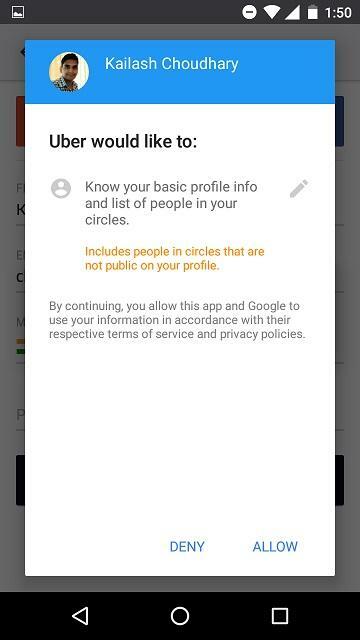 Soon I ended up my search when I found the Uber App. 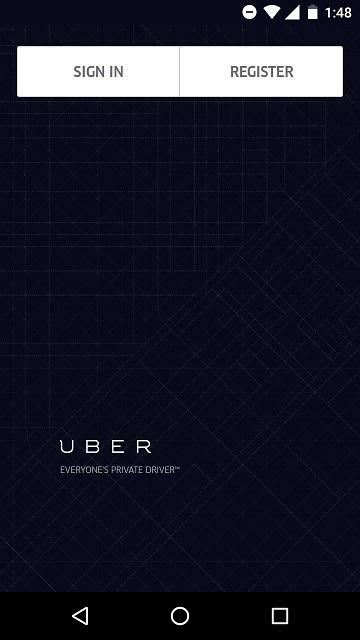 With more than 10 million downloads, Uber is one of the most popular transport apps on the Play Store. 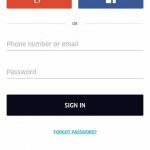 The app is free of costs and supports devices that run Android 4.0.3 or higher versions. As this app was compatible with my device, I installed its 3.84.4 version that had a setup size of 17.15 MB. 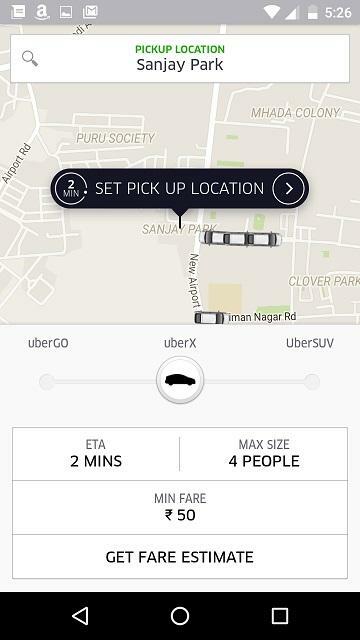 Once installed, the Uber App uses 24.79 MB of internal storage and average 28 MB of RAM. 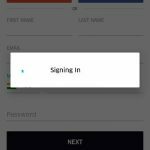 Before you start using this app, make sure that you have an active cellular data or Wi-Fi connection on your handset. 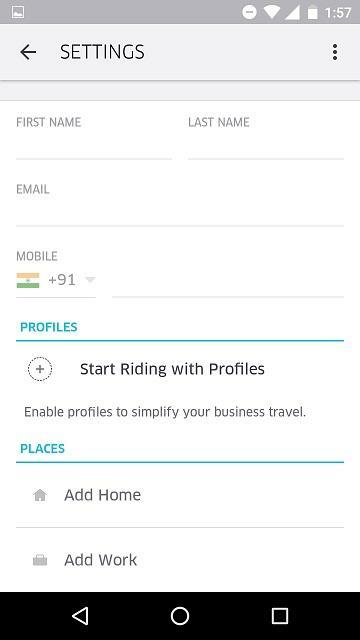 The user interface of the Uber App is simple which makes it easy to use. 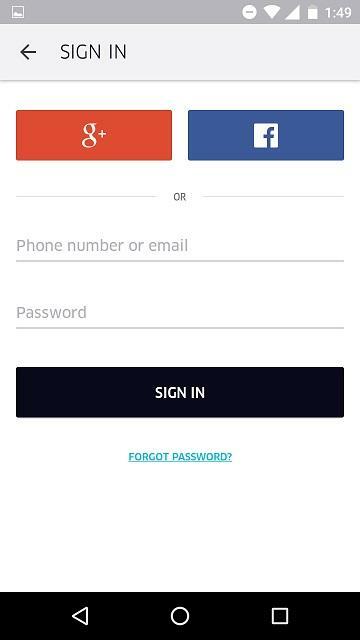 When you first start this app, it will prompt you to register or sign in with your Uber Account. 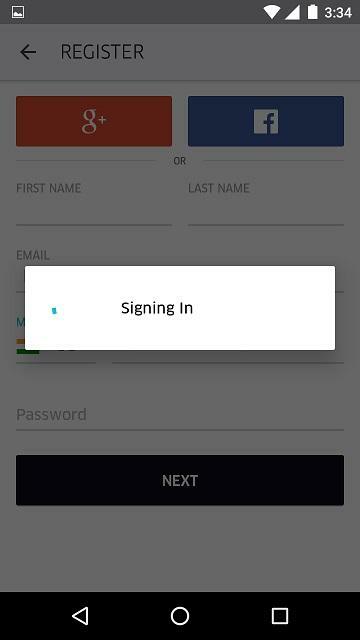 Being new to this app, I signed up with my name, email id, and mobile number. 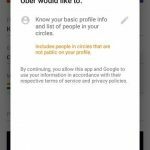 Users can also use their Facebook or Google Plus account to connect with Uber. 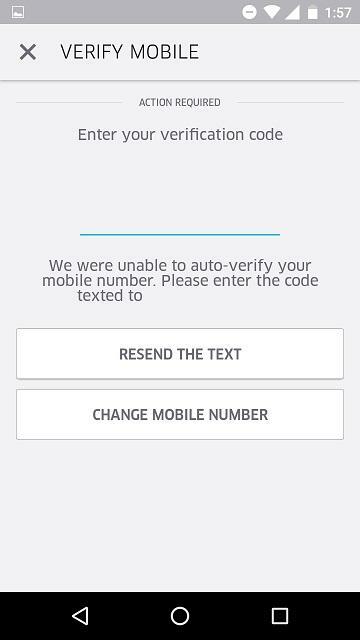 After completing the registration process, Uber will send you a code to verify your mobile number, which is necessary. 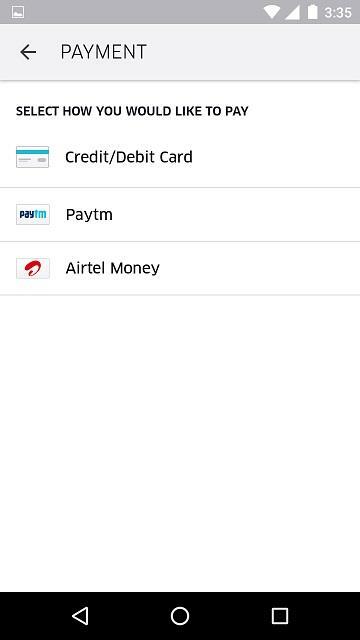 Once done, a new tab will open asking you to select a mode of payment like Cash, Credit/Debit Card, etc. 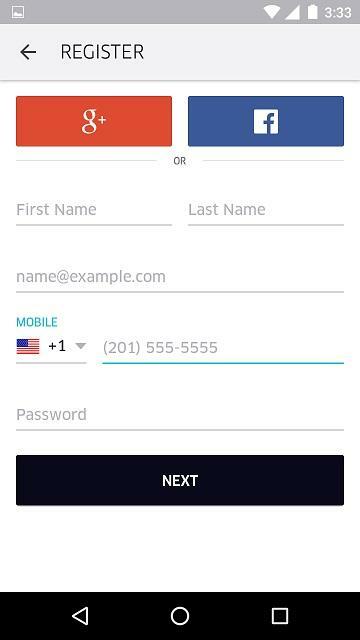 Select, what suits you the best. 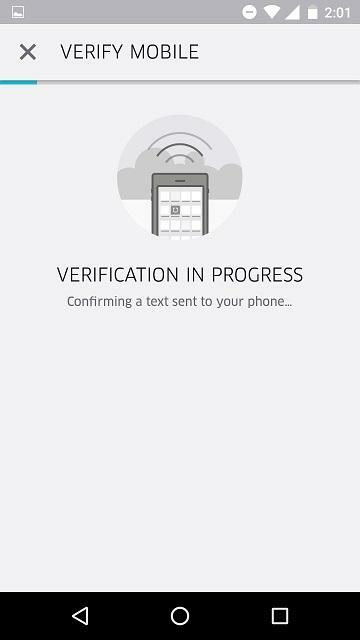 Now you are all set to get a private car, cab, or taxi from your mobile phone in minutes. 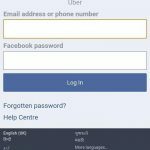 Here is how to book a private taxi or cab online through the Uber – the best taxi booking App. 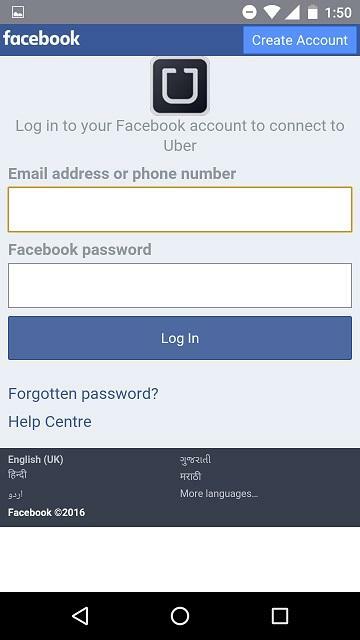 To book taxi online, open the Uber App and allow it to access your location. 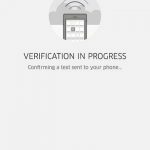 The app will make use of Google Maps to identify and locate your place. 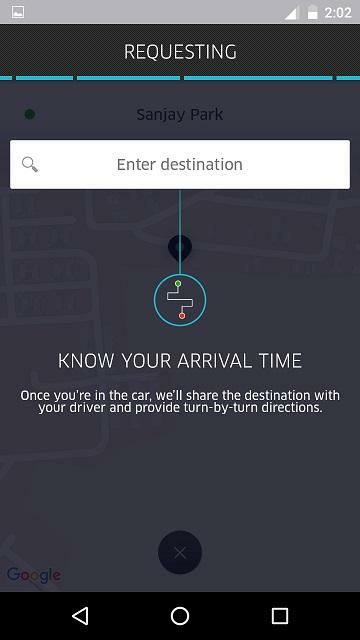 Uber uses your location to learn about all their available vehicles near your place. 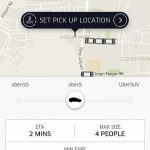 Therefore, when an Uber car is available near your area, it will show you on the map, of what type it is, how much time it will take to reach you and whether to set the current place as the pickup location. 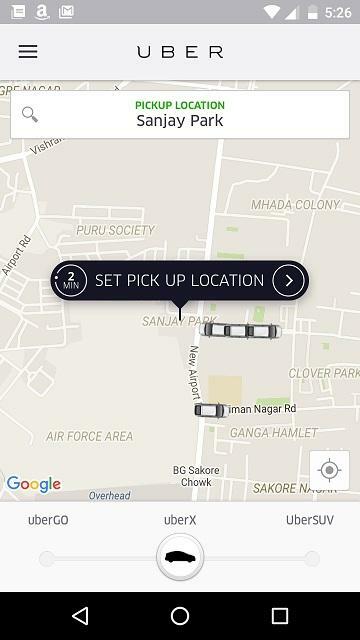 Uber, the top taxi app uses names like uberX, uberXL, UberBLACK, UberSUV for defining their cars. 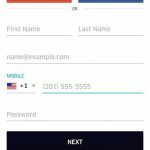 Below mentioned is an example that will help you to understand more about their car names. Note: This is just to give you an idea. 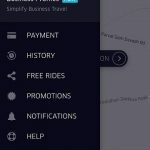 When you select any one of the above Uber rides, it will show you details like ETA (Estimated time of arrival), Max Size, Minimum Fare, and Get Fare Estimate. 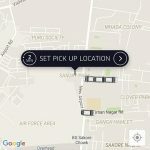 Let us say you want the uberX ride, set your current place as your pickup location, and push the SET PICKUP LOCATION option. 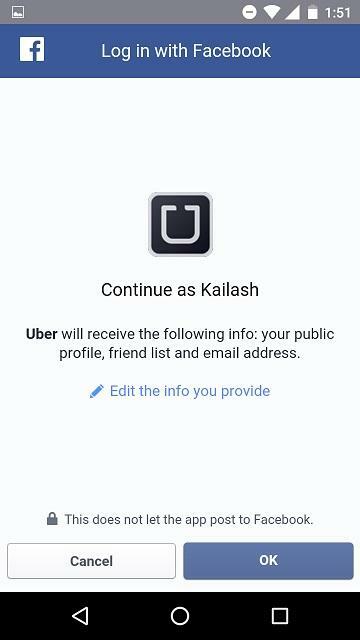 A confirmation window will open that will show you your mode of payment, Fare Estimate, Promo code, Request uberX, and pickup time. 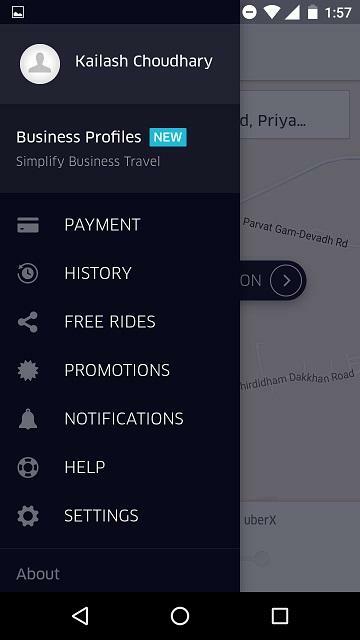 Select the Request option and soon a new window will open asking you to enter your Destination. 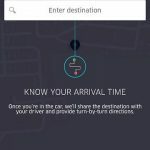 Once you set your destination, Uber will share this information and turn-by-turn directions to your driver when you are in the car. 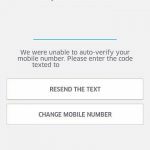 After confirming the ride and destination, you will receive a text message on your number, telling about the cab’s arrival time. 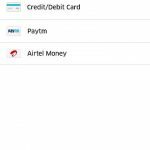 Once you reach your destination, pay cash if you selected this mode of payment. 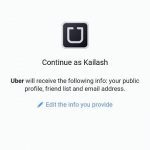 If you selected credit/debit card for payment, Uber would debit the charges from your account and within minutes, they will send you the bill by email. 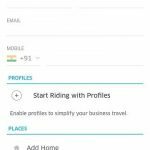 The app is easy to use, performs well, and helps to book rides fast. 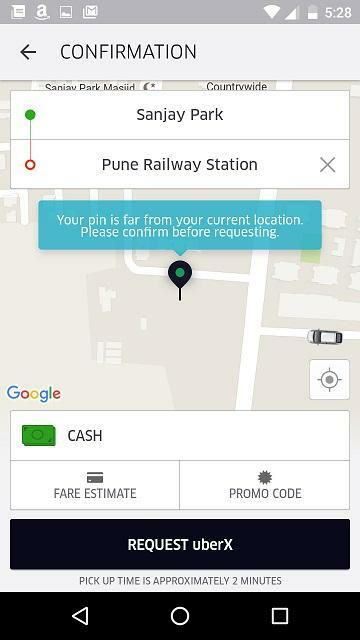 The Uber car rental service is really good. 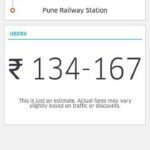 The fare may look a bit expensive to some people, but when you use the services, it is worth it. 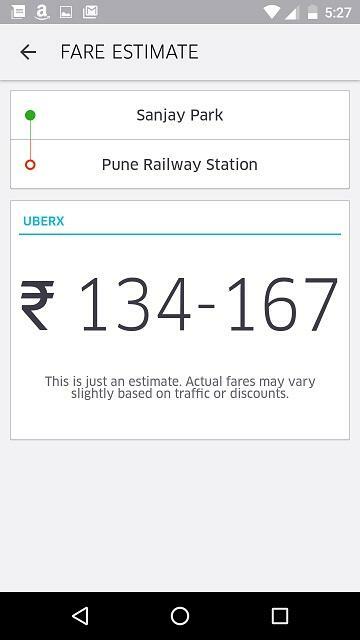 If you too are looking to book a private ride or cab with a press of a button, go for Uber, you will love it.